Joy To Make sewing parties are fun, sociable and a great way of introducing yourself to a new skill, or brushing up on old ones. We offer a bespoke service to any type of party size from a small group up to around 15 people. We also can offer a buffet style lunch, venue sourcing, and a photography experience to cherish your memories. Applique cushion making: design your own motif and applique it on to your cushion. we teach you how to put in a zip, and even pipe it! 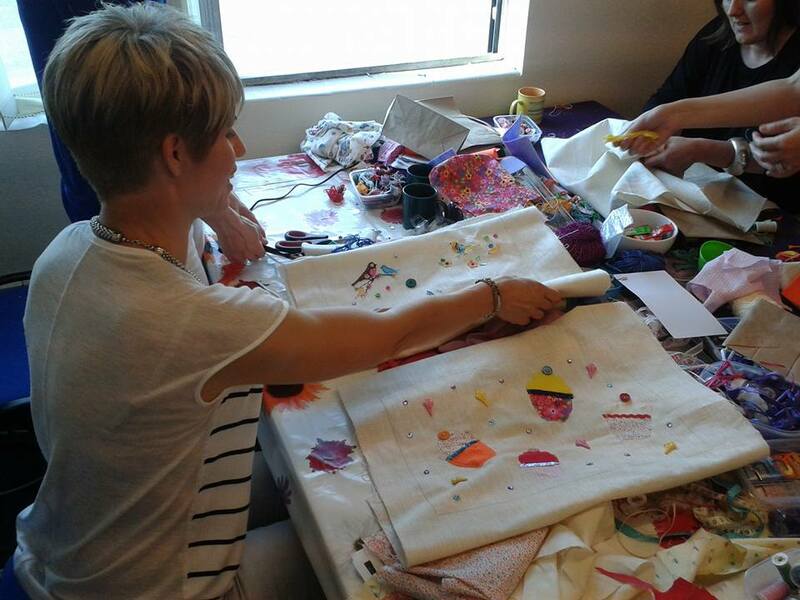 Creative textiles, making little wall hangings out of different fabrics and accessories. Celebrate your pre-nuptials with a creative get together! 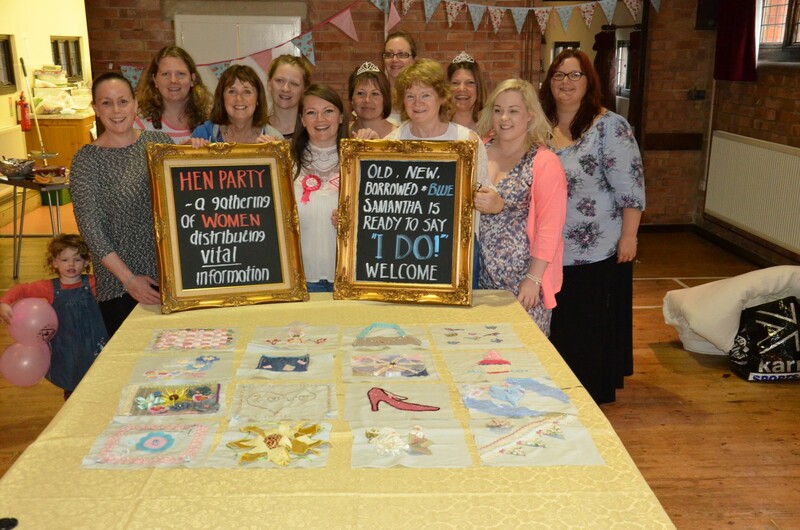 Hen parties are a brilliant time to bond with all of your best friends and family members, our creative hen parties are brilliantly sociable and you can create a special memento of the day to take home yourselves of make for the bride to be! Joy To Make can make your hen party a day to remember. We offer a tailor made hen party package to suit your requirements. We can accomodate groups of up to 15, source a venue for the day, offer expert advice and guidance, provide refreshments and serve afternoon tea. No previous sewing experience is required, we can show you all the basics and guide you through. You can be as creative as you want to be, there’s no limits! Get together with your friends and family for a few hours of crafty goodness! This is perfect for sewing bees and creative textile sessions, with cake and fizz thrown in!